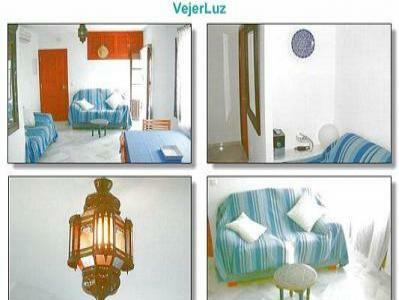 VejerLuz - Comfortable house in town centre. Jerez, but Seville, Gibraltar or Malaga are also convenient. Terraces, 2 with views to the countryside; patio furniture. Feast of "Toro Embolao", Flamenco events in the summer, and so on. golf, rambling, horse-riding, and other outdoor pursuits. From 80 euros per day. Discounts for underoccupation or longer stays.